Nearly three years into being a Wizzley author, you'd think I had nothing more to learn here. You'd be wrong. These past fifty articles have been some of the most difficult of my entire Wizzley writing career, and also the most lucrative. It's been a journey and a half, which has left me convinced anew that I'm in the right place, writing for one of the most exciting platforms on the internet today. As the big giants topple and the rest merge, Wizzley goes on. Wow! Does it go on! I'm so glad I'm here for the ride, even if it has taken me way out of my comfort zone these past fifty articles. Once the dust has settled, I'll probably be glad for that too. I'd been told it would happen. I still wasn't mentally prepared for when it did! My last fifty Wizzley articles have all been part of the Challenge, as promised during the Tips and Tricks for 650 pages. Perhaps not coincidentally, this was also the period when my Wizzley earnings took off into the stratosphere. I've been sitting here with my jaw constantly dropping, as each new commission record was consistently smashed. The speed of it truly took my breath away. Ok, it's been many months coming - years in fact - but other factors have played into those circumstances. But when it went, it seriously went. Just as the veteran writers always told me it would. Right from the beginning, those who've been at this game for a long time assured me that this moment would come. When critical mass, time, article and site maturity etc. all come together at a tipping point. Then the slow trickle, trickle of income becomes a fast flowing river and a livelihood is just around the corner. I heard that so often that I had faith. Yet a part of me still held back judgment until I could see it for myself. I've seen it now. By all the Gods, I've seen it now. That steeply climbing upward rise in affiliate commission on Wizzley shows no sign of abating any time soon. Along with the cash in my bank account, it's also raising the value of each Wizzle at an astronomical velocity. Nineteen days ago, I posted to the Wizzley forum that the average value of a Wizzley article had just drawn level with that of Bubblews. Both were cruising at $2.50. Wizzley is already at $2.78. For months, I've been watching it settling at around $1.50-$1.60. But these past few weeks have been it visibly shooting upwards. Just over a fortnight added that 28c. I'll try to remember to include this figure each Tips and Tricks, so you can chart the on-going climb for yourselves. Incidentally, Bubblews is still at $2.50 at the time of writing. Nowhere is this sudden boost more apparent than in Zazzle. I hadn't received a single pay-out there until March 2014. I simply hadn't hit the minimum pay-out level. Then I had a second one in August 2014. From 28 months, I'd suddenly leaped to just five. Followed by only one. Since October, November and now December have seen monthly payments. That is the speed at which this is taking off. Not all stats are created equal and these can be highly misleading, if you don't have the context. I do not have Google Adsense. Those with it are making considerably more than me. I was told, when Google took my account during the first month (I blogged about riots happening outside my door; Google thought to shut me up), that no-one can survive as an online writer without Google's approval. I do NOT give up at Google's say-so, and I will make a livelihood. THAT company can go run. Wizzley was a new site when I began. It takes a year at least for articles to mature, and that's on established websites. More properly, it takes two or more years. Therefore it's 2014 before we could even begin to cite Wizzley as gaining momentum in the SERPs. In addition, the writing platform leaked writers during 2012. Once Hubpages steadied, all of those authors who'd previously ranted about that site quietly disappeared back into it. I was a new writer when I began. I only started this lark in August 2011. I've been here learning my craft, making my mistakes and applying my lessons. You know this, as you've watched it happen via the Tips and Tricks articles. You're seeing me become established as much as Wizzley. In short, do not look at my chart and assume it will take you that long to hit the upward momentum moment. It will probably occur much sooner for you. I doubled my income after my first year, then tripled it the following year. The really interesting thing will be to see what happens next, as that dramatic upward trajectory has only recently kicked in. Of course, we can't truly know until it happens. There are too few figures to calculate a yearly growth average, thus the projection is only the 3rd year percentage rise repeated onto the 4th and 5th years. It could be a whole lot more; it could be less. Won't it be exciting finding out? Was there something more than time and the right moment in play to send my Wizzley earnings soaring? You may also call this the Wizzley fifty article challenge. Or how Jo Harrington would have done it, if she was at the beginning again with all she knows now. In any other business, it would be a no brainer. Work out what makes money, apply it; then when you begin to make money, you'd obviously called the shots perfectly. 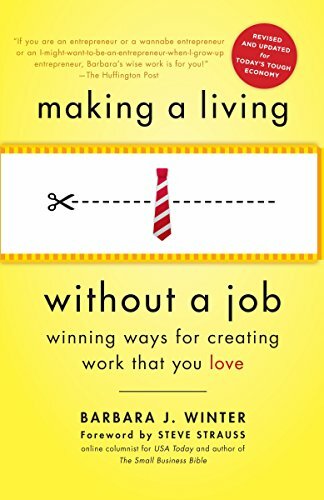 But the online writing business isn't supposed to work like that. Articles have to mature before they create income. You write now for this time next year, not this time next week. Yet I can tell you now that certain Wizzley articles are already paying dividends for me, and they are amongst the latest crop written. They were part of the Wizzley Fifty Article Challenge, thus are less than four months old. 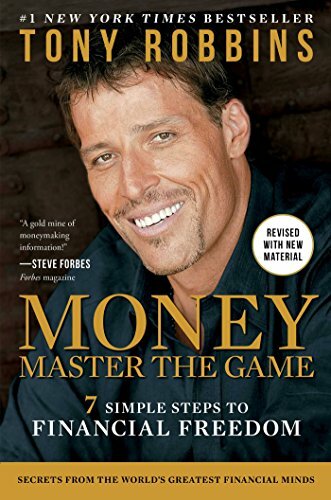 However that challenge was created with money making in mind. 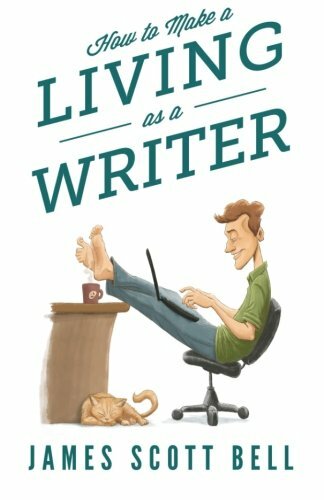 Perhaps the online writing business isn't so different after all. The Fifty Article Challenge on Wizzley was launched under the header One Way to Become a Successful Wizzley Writer. 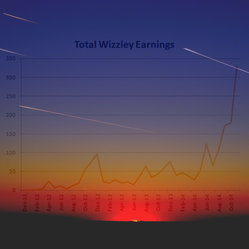 It was conceived to answer a perennial query - how do you make money on Wizzley? Additionally it addressed an issue which was current in the Wizzley forum at the time (and had long since been popping up in private messages to me). That was new writers on Wizzley staring at blank pages, too overwhelmed to fill their portfolios here. They had no idea what kind of things to write, but they did want to earn a livelihood here. That's where the Challenge came in. It handed fifty topic prompts on a plate. Everything from the subject matter to the order in which each article came was designed to maximize earning potential here. Job done. Wizzley's 50 Article Challenge was designed for newcomers. It's aimed at those who can't think of anything about which to write. I'm blessed and cursed in equal measure by a profusion of ideas. I'm inspired to pen more pages practically every other second. The worst thing you could do to me is restrict me with lists of the Thou Shalt Write... variety. It's there for people without experience in earning affiliate commission on Wizzley. I'd already learned that. I wrote the blasted Challenge incorporating all I knew. So why would I do it? Because madness, and the fact that the Wizzley forum at the time was abuzz with people signing up for it. I got carried away in all of the excitement and offered to do it too. After all, I'd written it. It seemed only fair. Plus I thought it would be fun, doing it with so many other people. Friendly competition, mutual support, propping up those flagging and all that. Naturally I did the whole thing alone. No-one else made it past the starting gate. It's been restrictive and very hard work. There were times in the middle when I wanted to give up too. There were days when I couldn't even bear to log onto Wizzley, because it was lurking there like a big, dark cloud penning me in. I had friends in the background, cheering me on, promising day-trips and whisky the second this was over. I had my commission earnings taking off with ever increasing velocity. And amongst those fifty articles are my best earners yet. It fulfilled its promise without waiting a whole year to get there. I'm glad I did it. Not least for the flooded inbox of well wishing friends, a fabulous day out to Llangollen, and whisky mead guzzled with aplomb. Have You Been Neglecting VigLink? Because I know that I have! It's all too easy to concentrate our monetization on Amazon, Zazzle, AllPosters and eBay alone. The modules are right there. But these are the online stores which every other Wizzley writer is plundering too. You are going to end up lost in the competition. Far more hassle to contemplate are the millions of choices opening up when you head into the VigLink market for monetization possibilities. You have to jump from store to store in order to find applicable products. Then copy the images and upload them yourself. It's always seemed too much to do, when I'm rushing around trying to find something just to shove into an article to make it financially worth the writing. Digby explains VigLink in Wizzley for us! Yet every time Digby Adams mentions VigLink merchants on the Wizzley forum, I take note. She is doing very well there, and finding products which aren't the same old, same old to feature in sales articles. There's a lot more sense in this than is immediately apparent too. If Amazon or Zazzle went down tomorrow - or you lost your access to their catalogs - how well would your Wizzley monetization avenues hold up? VigLink allows us to hedge our bets. Finally I did something about it. Inspired by Digby's forum posts, I wrote two of my Pagan wedding articles having first hunted through the VigLink stores after relevant handfasting gowns. I did eventually add Amazon ones in too, but not until I'd fully exploited the potential from elsewhere. You are a Pagan Bride who wants a handfasting gown that's big, ornate and looks like a costume worn in Game of Thrones, or Mists of Avalon? Come on in. Encouraged by such great finds, I recently went through VigLink marketplaces in order to uncover products to add to my established Christmas articles on Wizzley. It took a few hours (I have A LOT of seasonal pages...), but many of them swelled quite beautifully with much greater choices for my readers. That can only be a good thing. Have you checked your old holiday articles for out of date monetization? They've all matured enough from last year (and the one before, and before that...) that this is your big moment for proper affiliate earnings. But only if the products are still available for folk to buy. It's a constant source of bewilderment to me that merchants remove items that could perfectly well serve one season as another. Half the time, they've listed them again anew, thus losing all that promotional potential garnered through people like us. You get to find out who they are and never list one of their products again. Last year was the first in which I discovered this. It was soul-destroying to have to go through so many articles and replace products. I thought they'd all constitute passive income by then. This year, I've had a wonderful surprise! It seems that items which survive one year will remain for the rest! Particularly since that first year's purge weeded out the serial re-listers. There were hardly any Halloween products replacements necessary. Christmas was slightly worse*, but still nothing compared to the year previous. * With undying thanks to Ember, who freed me to complete the Challenge by undertaking the checking of my Xmas articles for me. It's been mentioned before in my Tips and Tricks articles that it's worth your time to create thumbnails which catch the eye. Nor am I the only Wizzley author to highlight this fact. There are plenty of articles here about it. This is the internet age of Pinterest, so pictures are all. It's also Wizzley, where images dominate the front page and every single category. If your thumbnail has just been thrown together, then it's likely to be lost in the pretty pictures occurring all around it. But there is a problem. Pinterest doesn't pick up those carefully crafted thumbnails as a viable image for display up its boards. The picture is too small. Which is a shame, because these are the images which probably describe your article best of all. They should certainly be the ones most deserved of your time to get right. Hence a little tweaking is in order. If you scroll up to the top of this Wizzley page, you'll find that I've included my thumbnail as the illustration for my first bit of text. That will ensure that there's a version large enough for Pinterest promotional purposes. However, sometimes there isn't any room in the main body of the page for your thumbnail image. That was the case with the Halloween kids' ghost costume one up above. Nevertheless, look here. I have a full sized version of the thumbnail gracing a Pinterest board. How? I just added it as an image at the bottom of the page. Pinned it. Then returned to Wizzley and removed said image. Job done. The link remains attached to that pinned picture, even when the image itself has gone from the page. We're all writers, which means that very few of us are artists too. We shouldn't beat ourselves up because we haven't an artist's instinct on what images will work, but we can watch out when we have the results to hand. The thumbnail above is all wrong. It's way too busy, so looked terrible in my profile gallery. Nor is it immediately obvious what's going on here. Our thumbnails are supposed to represent the writing inside. They're pictorial pointers towards the content. Beware being too clever in GIMP, if the result is something like that shown above. Simple is probably best, as long as it's eye-catching. Also, as the thumbnail pictured left shows, sometimes our eye-catching color scheme is a little too garish. I asked a proper artist about this one. She told me that muted colors are generally best for weddings. Why won't my Wizzley thumbnail upload? This is a frequently asked question. It might be too small, or too big, try resizing it. Or else it may have transparent layers attached. Try saving it as a .jpg and reloading. Because we can't all be the Cyber Age's answer to da Vinci. On the subject of promotional stuff pertaining to your Wizzley articles, there's a couple of things to note regarding keywords. These are the words that people search, in order to stumble across a link to your page. Or StumbleUpon, as the case may be. Once we click to Stumble our articles, we are invited to add in keywords. Please note that multiple words or phrases end up hyphenated. So if I was to write 'Wizzley Tips', it would render as 'Wizzley-Tips'. If you're concerned about how they may automatically be arranged, then you may opt to add those hyphens in yourself at the point of submitting each link. Even better, try to keep to one word prompts - keywords, not mini key phrases. Have you noticed that your Wizzley articles facilitate adding keywords to their meta tags? It occurs on the very first screen, where you add in the title and introductory text. A bit of fun mid-challenge - my 666 page had to be devilish in nature, didn't it? - including the fixing of things which may bug you. This happens after you've uploaded a thumbnail. You get a pop up blazing the words 'undefined error' and no image apparent in the thumbnail box. Just refresh the page. It'll remove the error and your picture will mysteriously be present. I haven't seen this one for a while, so Simon (Wizzley's Tech bloke) may have permanently consigned it to the archives of past Wizzley glitches. If this seriously bugs you, then click on your name on the top toolbar. Then select 'settings' from the pull-down menu. Scroll right to the end. Untick the box alongside 'Report invalid links'. Please note that this won't stop the mechanism automatically discovering invalid links (false positives or not). So you will have to check your page tab for articles removed from the SERPs for containing them. They'll be right at the end of your listed pages. Another one driving Simon insane with trying to fix it. In the meantime, we can hack our links in an attempt to brute force them into place. Instead of http:// at the beginning of your URL, try https:// instead. If that fails, some authors have reported success by inserting the mobile URL instead, though that is obviously not ideal. Last Tips and Tricks, I demonstrated how to link to individual modules in Wizzley articles. You can do that with comments too, like so. You just open up the page source as usual, but add #comment_INSERTNOHERE to the URL instead. It's useful if you have readers commenting, who you wish to thank as you update your article with the new information. As I've been doing quite a lot over on the Outlander Film Locations page. Do You Know Any of the Youth of Today? Wizzley needs young blood! Go and import some kids! I had someone all signed up and ready to go on Wizzley. They'd even knocked out their first Wizzle and I waited with bated breath to see what would follow. And waited. And waited. And waited. Eventually I asked if everything was alright. Were they stuck on anything? Nope, came the response, it was just that they'd had time to look around. They'd been struck by the perceived age of Wizzley writers, which - from their youthful perspective - was at the decrepit end of things. "Is it the sort of site where young people write?" Yes, it is. But perhaps they'd be more visible, if we encouraged more of them to write for Wizzley. You got any youth hanging around your 'hood doing nothing? Let's get them onto our front page, where other late-teens/early-20s people can see them! There are plenty more teen or twenty something Wizzley authors. These are just the first eight I came across in the writer database. I reached this milestone on November 24th 2014, just one month shy of three years after arriving at Wizzley. My stats on Wizzley just recently have been settling in around the 1600-2000 mark. Often higher, rarely lower. Which means that I've completely dodged a bullet. I've been too busy with the Challenge, and other websites, to really promote any of this stuff. That's a real oversight, and nothing that I'd recommend to anyone else, but - give or take the initial burst of social networking when I first publish each page - it does show my internet traffic in pretty much a natural state. Which is apparently best summed up as 'rising'. Imagine what would be happening if I was properly running Twitterfeed too! Well, they went up again. Surprisingly so, given my lack of promotion of late; less surprisingly so, when you factor in that it's taken me four months to do this, and we're into the holiday period. But we were that around the 550 mark too. Looking at my page stats, I can see a couple of articles each pulling in tens of thousands of readers. Others are in the mere thousands, then down the ranks into hundreds, dozens and the odd one or two individuals. My plan is to write more like those proving to be popular and the rest will just follow suit. I've been writing on Wizzley for over two years. Every fifty articles, I pause to take stock and share all I've learned so far. Welcome to my Wizzley Tips and Tricks. Two years of writing for Wizzley has given me a great insight into how to do well here. So what have I learned while penning the last fifty pages? Your tips and tricks still make sense. I do miss certain things about the "bubble site" but it's been gone quite a while, and Wizzley is still here. I had a similar experience on Squidoo, earnings taking off after a few years, then the site changed and they collapsed. After a year of my own blog I went to Zujava, and when it went down I came here, Yes, traffic is great, I am not making sales yet, but I understand about articles being new, It does take time, and many articles. I am adding as fast as I can. Excellent report. Jo - You are just an amazing source of information, as well as inspiration. Prolific, too! Just with your Wizzley articles alone, I have a lot more reading to do, but I'm already convinced it will be time well spent. That's a really good question. I don't know at the moment, though I could check and see. Does anyone on the forum know? Thanks for the tip on StumbleUpon Keywords and also adding Wizzley keywords - do you know how to go back and add key words AFTER you create the page? Seems like a stupid place to have put them as I often do not know what I'm going to write when I create a page and also my pages are cammelians and change on a regular basis. Sockii - I'm sorry to hear of your trials to date. I too have had my share of sites just up and closing on me. Thankfully Wizzley has stayed the pace. I'm confident that it's sticking around. Lybrah - Half the reason you haven't seen me for a month is that I feel Wizzley is stable. I've been working like a Trojan here and I'm finally seeing the dividends. Now I've been hitting Zazzle hard to give myself a second income stream, which can run parallel to Wizzley. But yes, my faith in the site was rewarded.